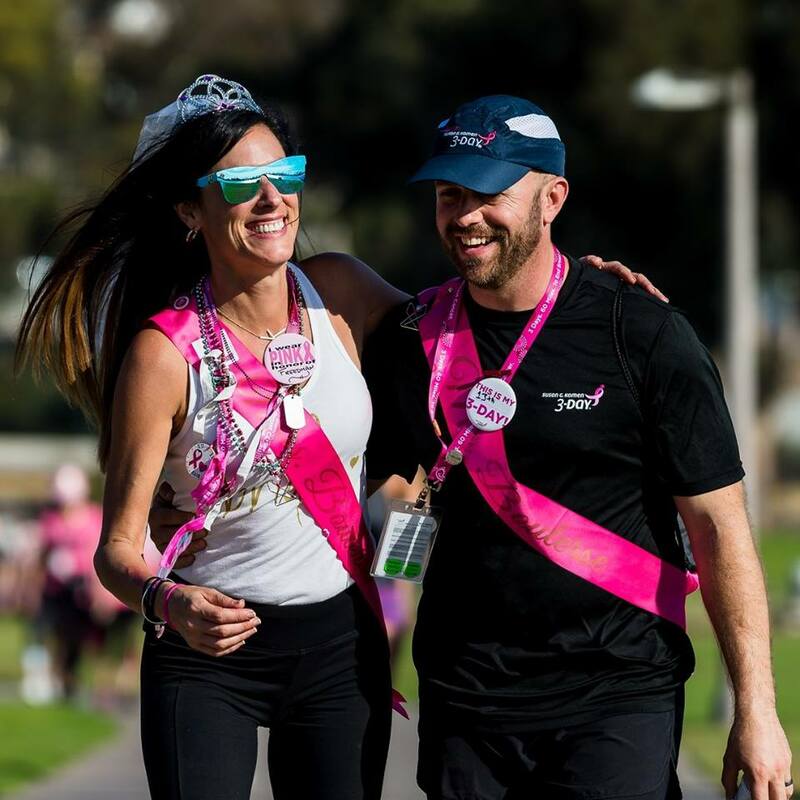 We are less then four months away from our first 3-Day of the year, and we have loved seeing all your training walk success so far! 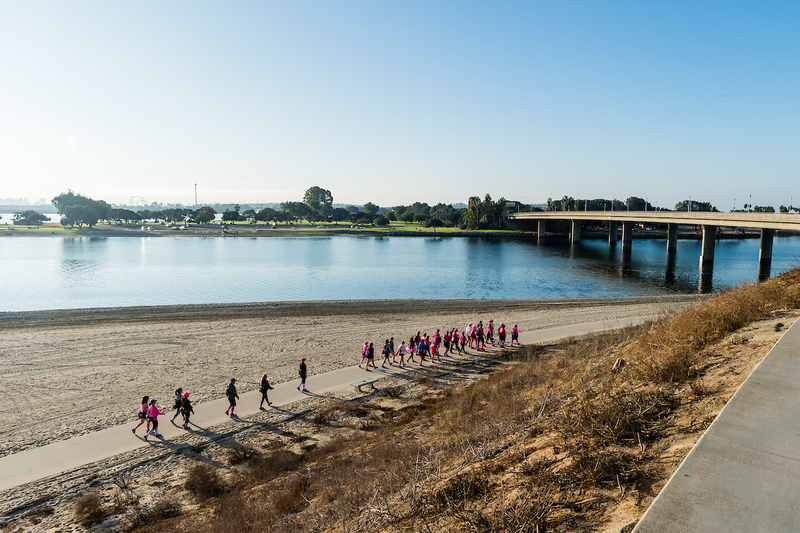 From maps of all the steps you’ve taken, to shared photos of you and your training teammates, our 3-Dayers are out and walking across the country. So, let’s amp up that training walk fun! Nothing gets people pumped up and smiling like a good theme, and we have some unique ideas for you. 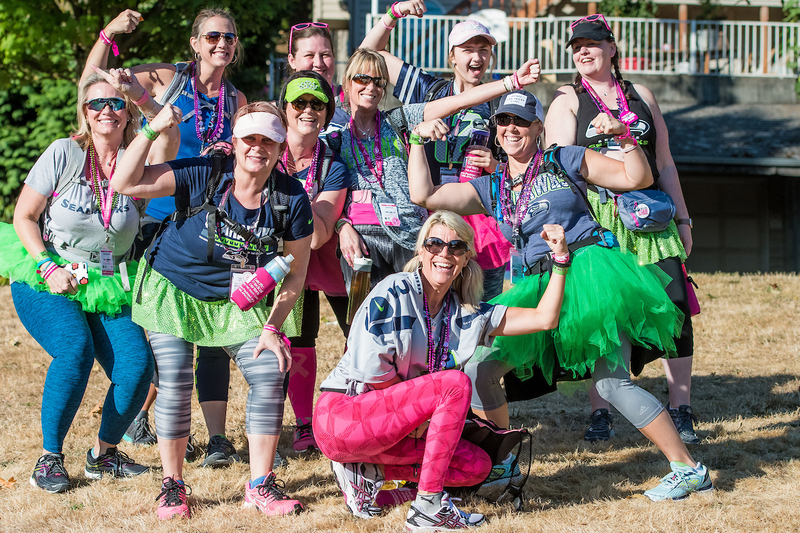 Creative bras are a classic 3-Day outfit idea, but we have expanded on that to include themes that will have your team smiling through every step. Crazy Wigs or Hats: There are all kinds of hats and wigs on the 3-Day, so let’s start wearing them on our training walks as well! These are sure to attract attention as you walk along so be sure to print off fundraising and information cards (print yours at The3Day.org/Cards) to pass out to people who ask about your amazing garb. Movie Trivia: The Oscars might have passed, but that doesn’t mean you can’t make your next training walk a real Hollywood red carpet! 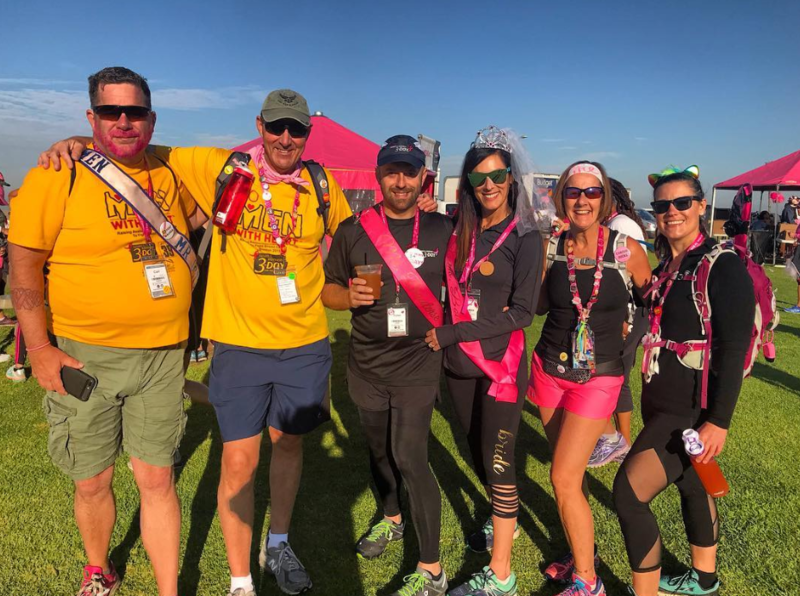 Have your teammates dress up as their favorite celebrity or movie character, then hand out “3-Day Oscars.” You can do everything from Best Costume to Best Couple to Best Accessory and beyond! Think Pink: How much pink is too much? No such thing! 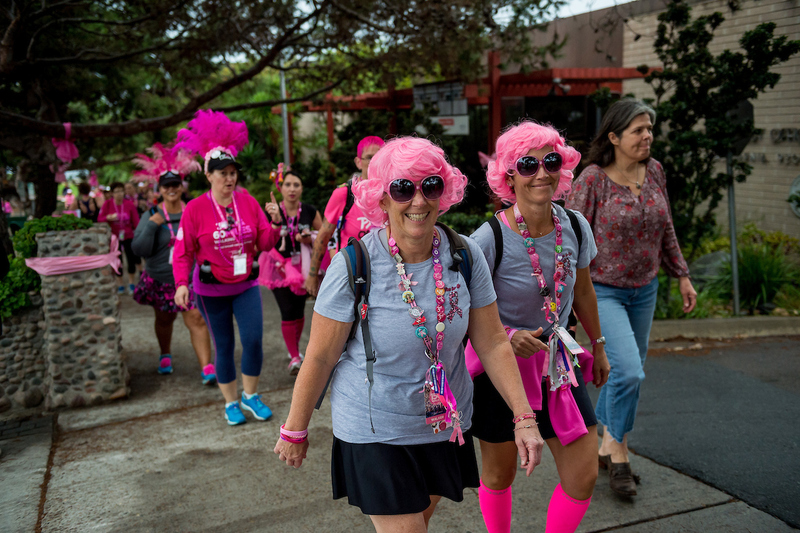 Challenge your friends to try to wear as many as pink items as possible on your next walk. This is a great excuse to pick up new outfit ideas for the 3-Day this year, too. 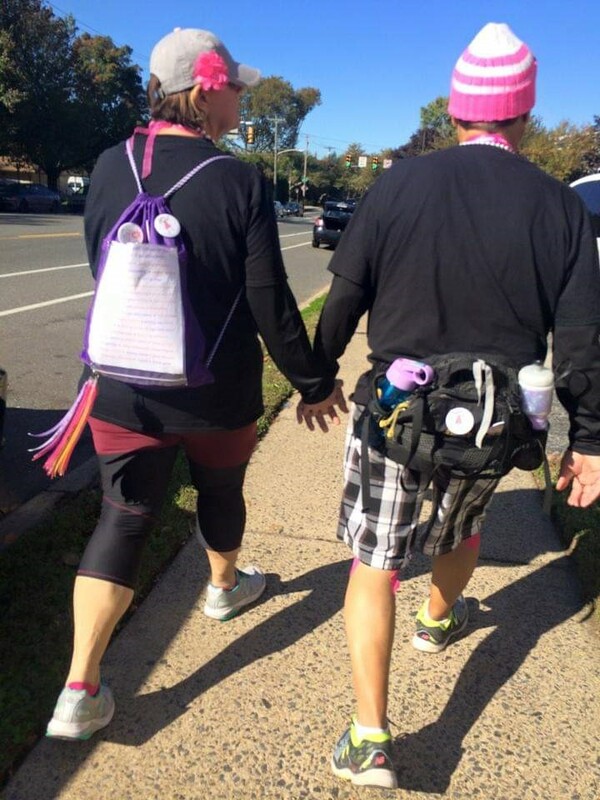 Go Team Go: We all love our 3-Day teammates and the family that is born on this 60-mile walk. However, most of us also have a favorite hometown sports team, too! Whether you love baseball or football or hockey or some other sport, encourage people to rock gear from their favorite sports team! You can time this around a big name in your hometown to really ramp up the excitement! Sparkle and Shine: You’ll be the most eye-catching group around by adding some sparkle! Get your glitter on and encourage walkers to wear their most eye catching ensemble. Pick a Decade: From the fringe of the 1920’s to tie dye in the 1970’s, pick your favorite decade and run with it. 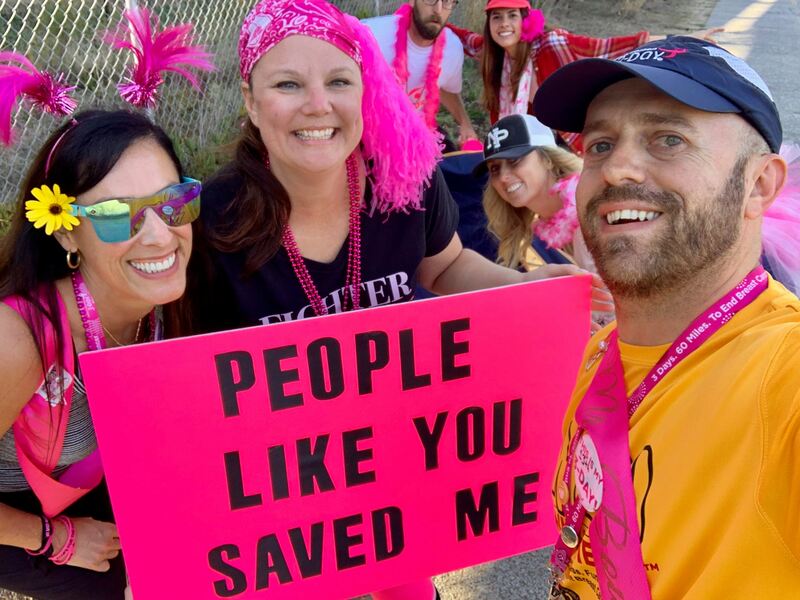 People can really get into this one when you add themed music for the walk, or even include trivia questions throughout the walk. Go Pattern-Crazy: Stripes. Polka dots. Floral. And that’s just the beginning! There are all kinds of fun patterns out there, so wear as many as possible…. all at once! Layer on those funny patterns for a truly unforgettable training outfit. Trip Down Memory Lane: Rock all your old 3-Day credentials at once! 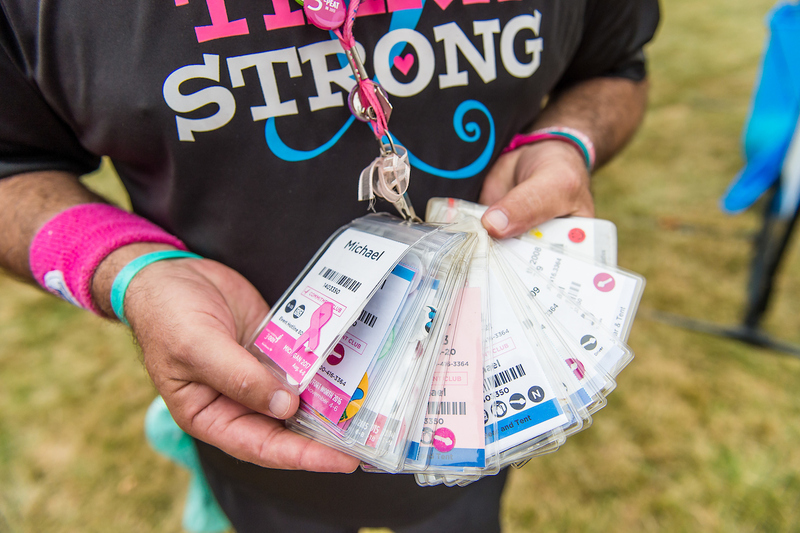 Pulling out these old credentials and lanyards will bring up so many fun memories and encourage chatter between people on the training walk. It’s a great way to encourage people to get to know new teammates! Do you have any other fun theme ideas? 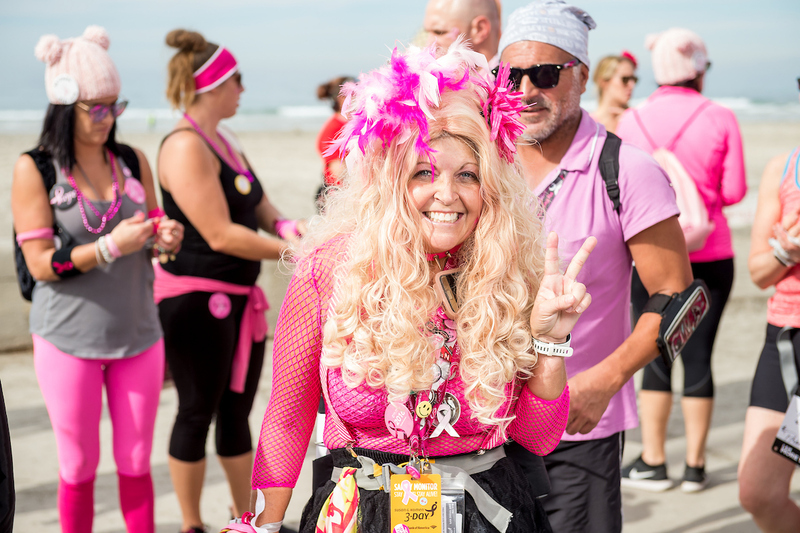 Tell us in the comments or share photos from you latest themed training walk! How did you then meet each other? Dylan had walked in the Philly event in 2016 and again in 2017 along with other good 3-Day friends. 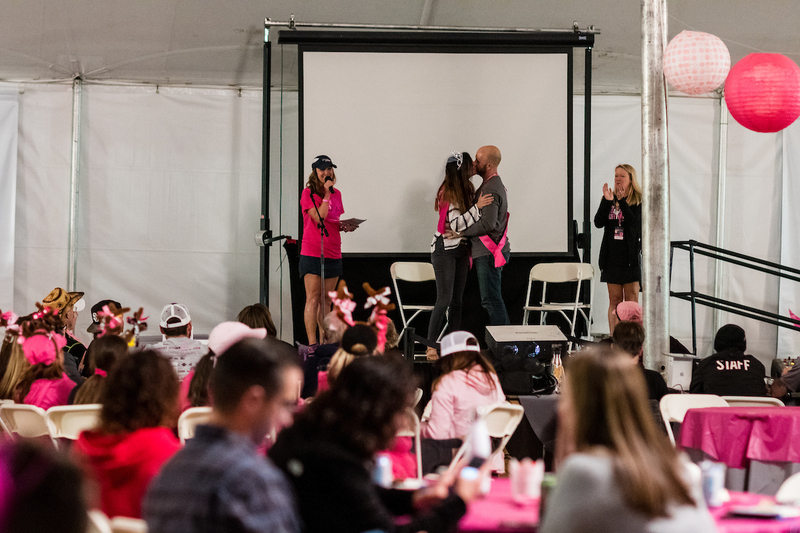 When the 2017 San Diego 3-Day came around we were introduced by common friends at the Red Marlin Day 0 party. Our friends had no idea what would happen in the days to come. What was your first walk like together? That depends who you ask. 😉 Dylan would say the first day wasn’t like any other walk. Karla might say she had her eye on Dylan, but the first day was fairly normal. The second day we walked together more, talked more and started to realize there was a spark. By Day 3, it was pretty clear we had a strong connection. Plans were altered and the Monday following the 3-Day we spent all day wandering around San Diego. For the sake of brevity, many details are being left out, but it goes without saying (now) that we couldn’t deny the connection. And how has your 3-Day experience changed over time? We continue to meet amazing people who have become dear to our hearts and unfortunately a few of these dear friends have lost their lives, which gives us more reason to continue this effort. Together we are more determined to raise money and participate. As far as the actual walk goes, it’s changed considerably given we basically walk all 60 miles holding hands. This year was your first walk as a married couple! 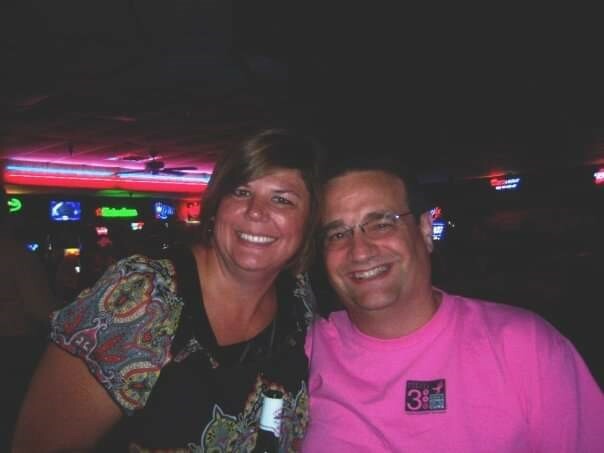 Dylan proposed to Karla a month after the 2017 3-Day (right before Christmas). She moved to Raleigh from Atlanta two months after that. We both decided pretty quickly we wanted to get married in San Diego right before the 2018 3-Day but the details kind of fell into place over the next few months. On a drive from Orange County to San Diego in January 2018 we passed Oceanside, the city Dylan’s dad grew up in. We visited the house his dad grew up in and, subsequently, drove a few miles south to Carlsbad where Dylan’s grandfather had established a church in the early ‘60s after retiring from the Navy as a Chaplain. The visit wasn’t intended for scoping out a wedding venue, but we both decided after walking the church campus that there was no better place to profess our love for each other and to bring both families together. As more plans came together, we decided the Red Marlin (where we had originally met) was an obvious location for the reception and of course that meant our guests would be staying at the Hyatt Mission Bay. It was not only our wedding host hotel, but also the 3-Day host hotel! It was pretty cool seeing our wedding family transition to our 3-Day family. And what was it like walking only a few days later? It made for a LONG week. We got to San Diego the Sunday before the 3-Day and didn’t get back home to Raleigh until the day after Thanksgiving. We both had a blast walking in the 3-Day for our honeymoon. 😊 We also spent a couple of days at the Hotel Del Coronado following the Closing Ceremony. You were also featured in the camp show this year for the Newlywed Game! 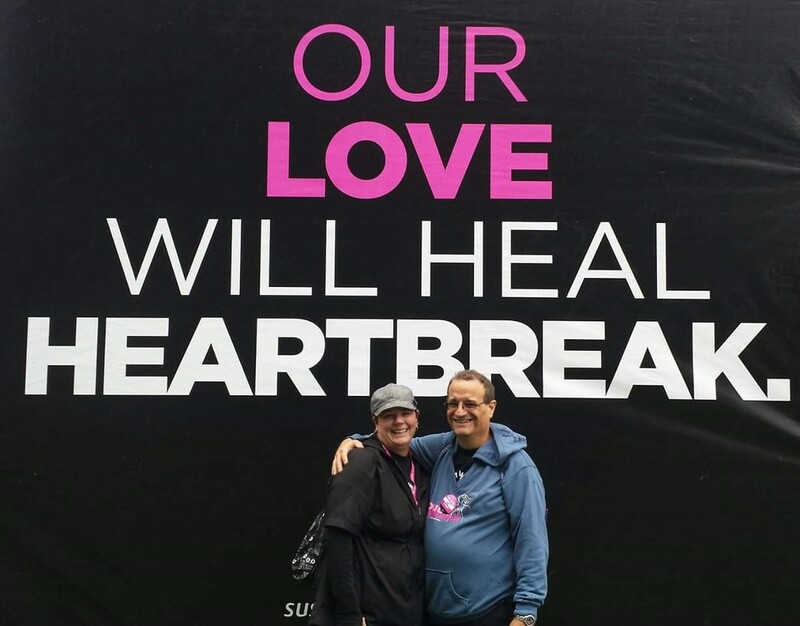 What are some lessons you’ve learned on the 3-Day that also apply to your relationship? Sometimes in the real world it’s good to have the 3-Day family as an example of giving and philanthropy to look back on for reference. 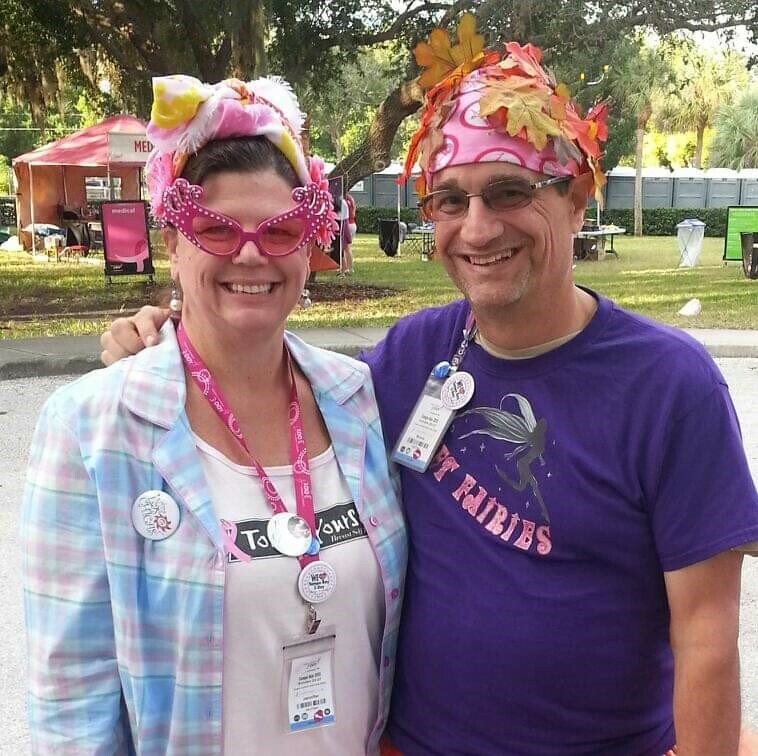 We both have lifelong friends we’ve met at the 3-Day and get to see throughout the year. What makes a great 3-Day walking partner? One who will hold your hand and listen to your rambling. Not much different! We are each other’s priority and nothing else is more important. It helps that we basically think the same way.